Lettuce! Use whatever lettuce floats your boat. 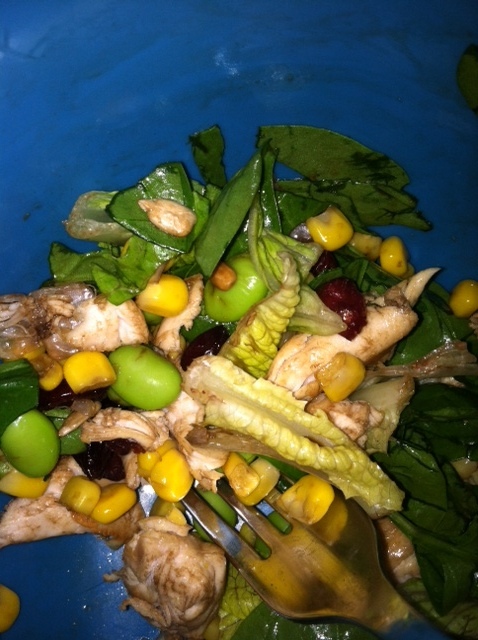 After all, its the goodies you put on top of the salad that makes or breaks it! 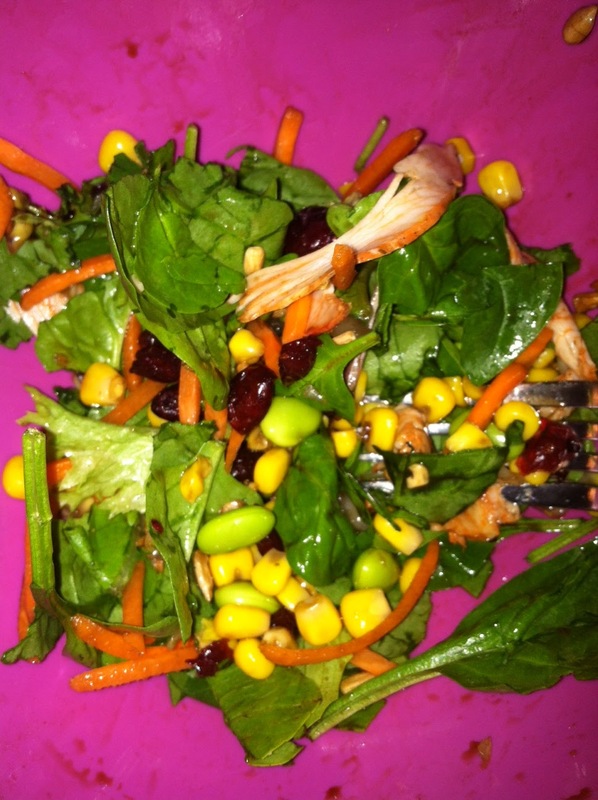 Romaine, Spinach, Spring mix, you name it. Spinach is my favorite since it is SO nutritious, and honestly you can hardly taste it when it is mixed in with everything else. Vegetables! LOAD EM UP. 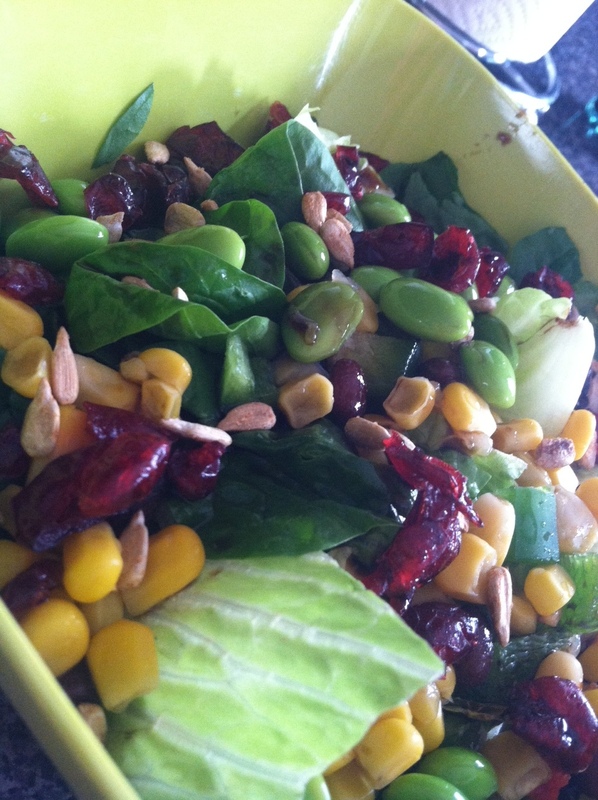 I find that salads are the easiest way to get all my veggies in for the day (duh) so get creative! I like red/yellow/orange peppers, tomatoes, avocado, corn, shredded carrots, cucumbers, onion, ANY vegetable you can tolerate! Need a little sweet or salty? This is my favorite part (wow, I sound like such a salad nerd...)! 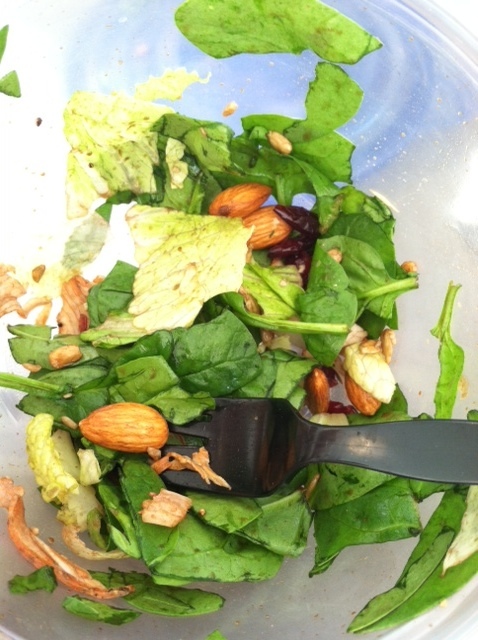 I love adding a small amount of sunflower seeds or raw almonds to my salad. Dried fruit can be delicious too, but try it in small amounts since it tends to be SO high in sugar. I enjoy a small sprinkle of dried cranberries, better known as Craisins. Sometimes I add 1/4 teaspoon of brown sugar to my Balsamic Vinegar to give it a little more "sweet". Protein should be incorporated into every meal of the day. As mentioned before, I've heard trainers say you should be eating 1g for every pound of body weight.... if you're 150lbs, shoot for 150g of protein per day. It is difficult, but it helps you to build and maintain muscle while keeping you full. Especially if you are eating salad, incorporating protein is crucial (otherwise you will be hungry in 10 minutes since spinach and lettuce aren't all that caloric). Grill a chicken breast, shrimp, or salmon. 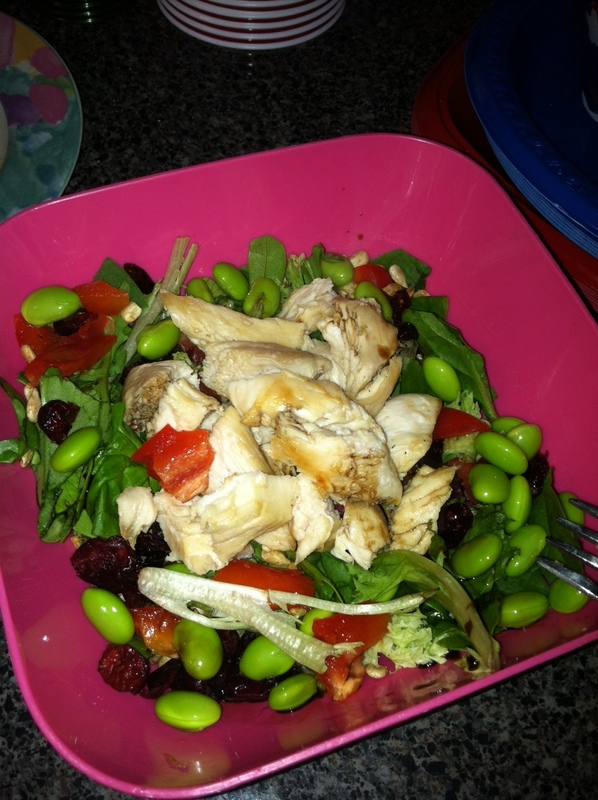 Shred up some deli meat or toss some black beans, chick peas, or edamame on! Delish. 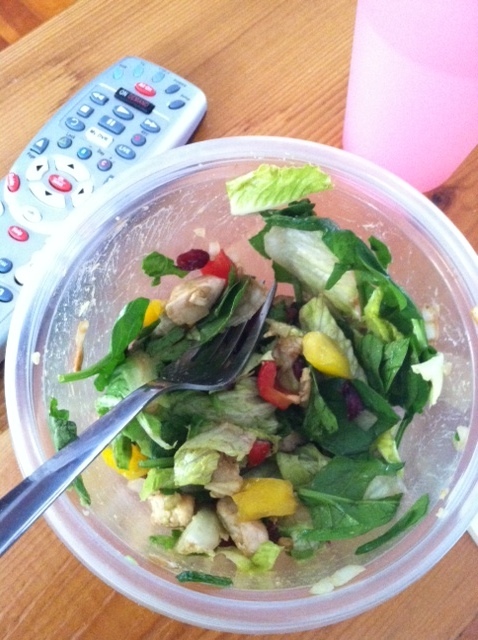 Dressing: the most obvious, best choice for dressing is Balsamic Vinegar. No, not vinegarETTE. Although it isn't all that flavorful, I've come to really like it, just make sure to use it in VERY small amounts. 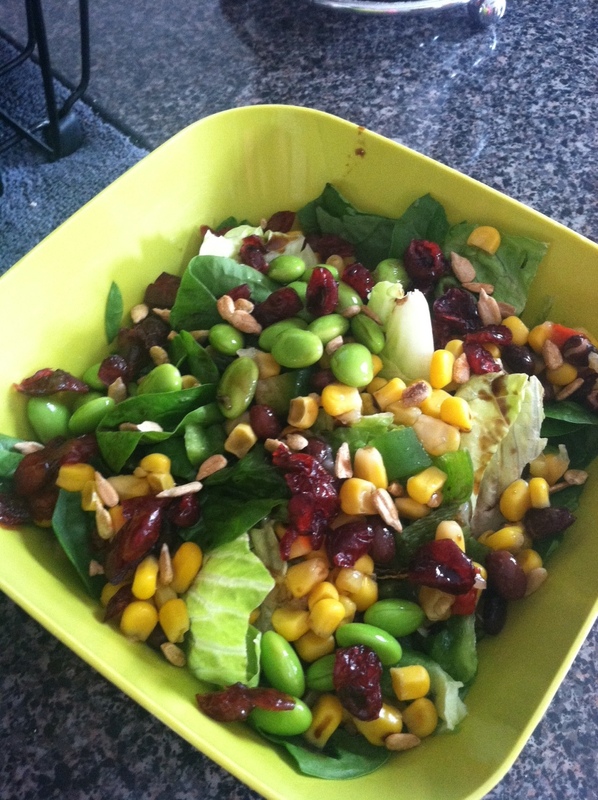 A little goes a long way and you don't want your salad to be too acidic! I always do less than 1 tablespoon and that is plenty. Mix it up with olive oil if you want, and if you really can't handle balsamic vinegar, shoot for a dressing that is low in fat. I also really like Newman's Own "Lite" collection.. Lite Roasted Garlic Balsamic Vinegarette or the Lite Low Fat Sesame Ginger. What to avoid: any dressing high in fat... I'd highly recommend avoiding ranch/ thousand island/ bleu cheese. These dressings can make a salad worse than a cheat meal.